The Kahvi Collective, a netlabel known for giving away gigs and gigs of beautiful, downtempo IDM, just announced their especially generous Christmas exclusive Selected Works from London-based duo Yimino. In this free download we get 7 tracks spanning a variety of their previously released Albums and EPs available to purchase on the band's own label Ominim, including their latest album Breaker just out in September of this year. 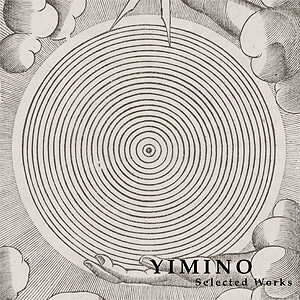 It would have been extra nice if they had included an unreleased track or two for those who already have Yimino's back catalog of work, but this little sampler is a great way to let potential new fans know what they're all about without any monetary risk. Being heavily inspired by known favorites such as Boards of Canada and Autechre, Yimino's work can create a divide among fans of this particular electronic music sub-genre. Some stubborn devouts could be put off by the striking similarities, but though the essentials of their music are haunting tape-compressed pads, nostalgic samples, and textured beat patterns arranged in a style pioneered by those that came before them, the lads venture a bit further out to the fringes with tracks like the funkier, vocal-heavy "No Gamet" and the more straightforward Dido-ish "Bintliptick". My favorite track from the lot is "Apone Fenex" which starts out by pinning glitched out vocals over a creepy organ playing wayyyy in the distance, and evolves into a really cool beat-driven piece that might have felt at home on Tri Repetae. From the dreamy vocal cutups in "Firen" to the eerie ambiance of "Moflek", it's all gorgeous electronics and good vibes, so if you simply love the niche and crave more, you'll be happy to hear Yimino carrying the torch to light up both new and familiar territory. "With a past that includes support from the legendary John Peel, performances at the South Bank and electronica festival Bloc 2010 this London based duo continue to innovate and diversify both in their musical output and label development."